A profoundly important root text of the Mind Series of Dzogchen, translated within the framework of the Ka-Ter Translation Project. 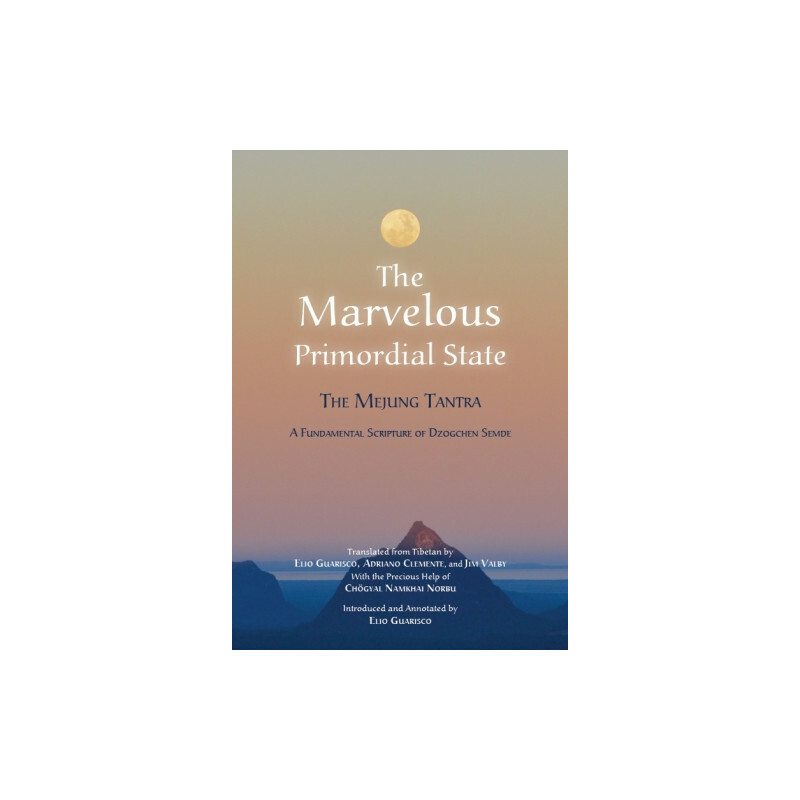 The Marvelous Primordial State of Great Perfection is a profoundly important root text of the Mind series of Dzogchen. Although this ancient text is not as large, nor has it as many chapters as The Supreme Source, it teaches all the essential principles of Ati Dzogchen that can be subsumed in the view without fixations, contemplation beyond concepts, and the fruit that is not obtained by treading a path. 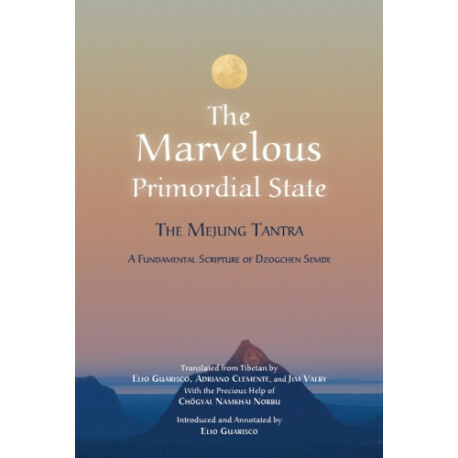 Therefore, this book contains the essence of all sutras and tantras of the Buddha’s teaching, with nothing missing. 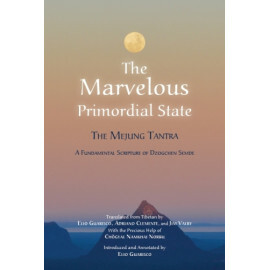 Our English translation of The Marvelous Primordial State, an ancient and extraordinary text the likes of which is rarely found in the world and whose value is immeasurable, has been made for the benefit of those fortunate ones who wish to gain an understanding of the real meaning of Ati Dzogpa Chenpo. I truly hope and wish that it will serve to open the doors of their minds and engender a genuine understanding of the principle of Ati Dzogpa Chenpo. The root of the three poisons having been cut, in me there is no cause and effect of the three worlds. I am the heruka who kills that which has no life. Beyond attachment and grasping, I am encircled by the eight unfettered charnel grounds. My pure realm cannot be left, cannot be entered, has no objects, and is devoid of sense organs. Devoid of outer and inner, gateway and interior, it is the great vastness of the inner reality. Beyond Body, Voice, and Mind, it is the supreme greatness. Beyond mantra and mudra, it knows no violations of commitments. Perfect as the total greatness, it is marvelous.